St. Anton am Arlberg is great for a winter wedding! There are several great locations in St. Anton and we want to share some very special places with you. We can definitely recommend the Arlberg Hospiz ***** in St. Christoph which is a gorgeous location with a big tradition and history. If you like luxury and hospitality you are absolutely right here. The hotel is awesome, the people are extremely obliging and there is a professional wedding planner to assist you with any question you might have. Another great tip is to have the reception at the Hospiz Alm. A crackling comes from the fire place and soothing warmth floods the room while snow coveres the mountains of the Arlberg massif. An extraordinary location is the Museum Restaurant which is half ski-museum and half restaurant. You can have your reception there and make sure all your guests enjoy a walk through the history of skiing in St. Anton. Another great place to be is the Anton Bar right at the heart of St. Anton am Arlberg. The Hotel Anton has already won a lot of design awards, so this might be a place to consider as well! What ever location you choose having a winter wedding is definitely a very special and awesome way to say I DO! 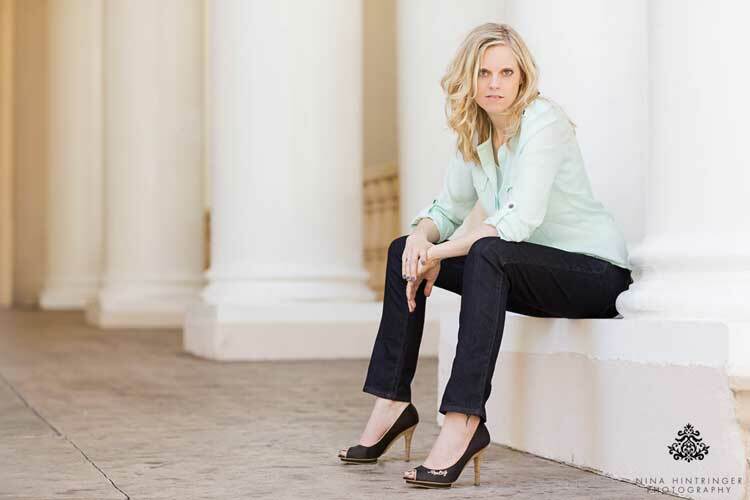 It gets dark about 4pm, so consider having your photo shoot earlier to have some daylight left. It can get really cold in St. Anton, so make sure to bring some warm shoes, stole, etc. Because of the low temperatures you might want to go for an indoor location. A fireplace and typical warm drinks like ´Glühwein´ might fit just well. What happens if it is snowing? Bring an umbrella for walking around. What a wedding weekend in Switzerland! I'm still overwhelmed and I don't know where to start. Tears, hugs, laughs, rain and sun... this weekend had it all and our hearts and hard drives are full of love. Australia (yes, where the kangaroos are from) and Germany met in Switzerland to celebrate love. Let's start from scratch. 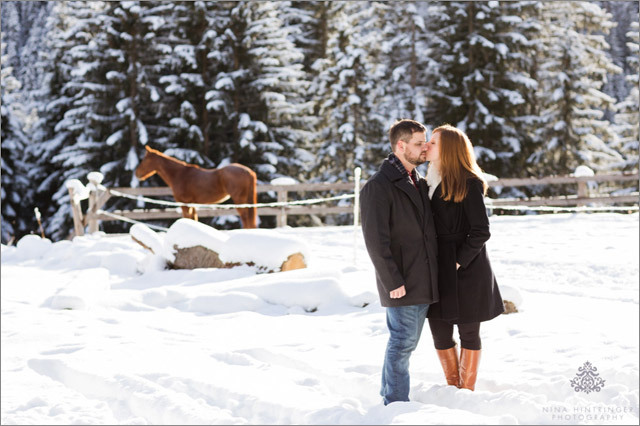 Do you remember the Arlberg Surprise Proposal and Winter Engagement Shoot we were involved? Exactly, that was the day we met Jenny and Alex for the first time in person. Alex is from Adelaide, Australia and Jenny from Germany. They met in Australia, lived there together and moved to Switzerland not too long ago. 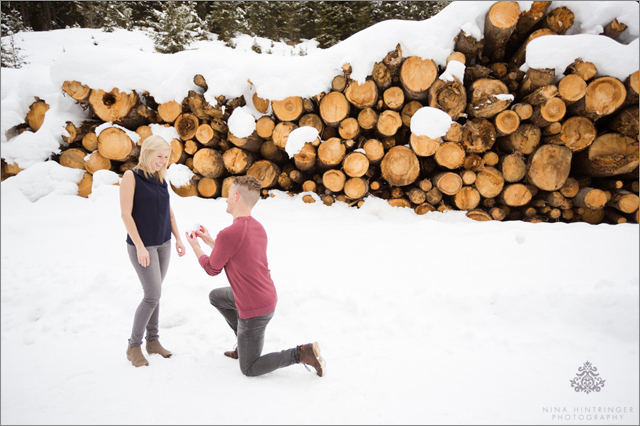 During their winter holidays in St. Anton at the Arlberg Alex popped THE question and we were the lucky ones to capture this beautiful and inimitable moment. A few months later they contacted us and asked if we would be available for their wedding date. YES was our answer and last weekend we had the wonderful opportunity to meet them both again, as well as their families and friends. They were all so kind, fun, thoughtful and genuine. Everyone stayed at the rocksresort and Signina Hotel in Laax. What an amazing hotel and area. We were totally surprised how much was going on there in summer, especially for kids, they are really family-friendly and we definitely have to come back with our little girl for some adventures. Jenny and Alex love to snowboard and they visit Laax and the rocksresort in winter every now and then. They love this place and so they chose this area for their wedding celebrations. 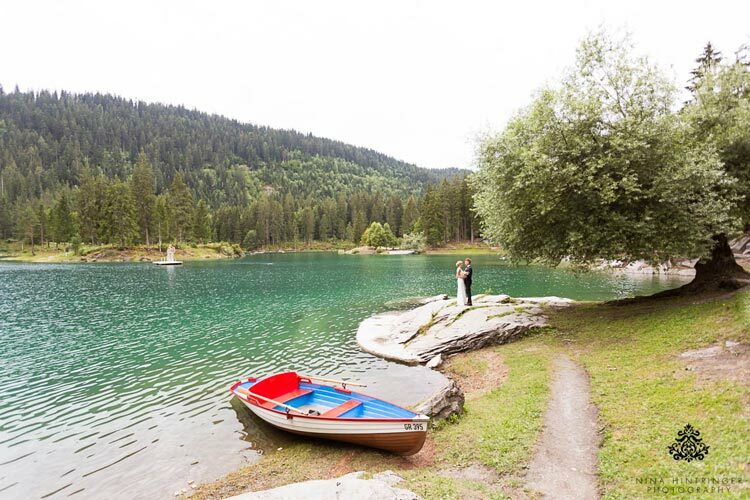 A beautiful outdoor ceremony in Flims at Lake Cauma was planned and thankfully - against all weather forecasts - it could take place outside and we did not have to go with plan B. The ceremony, held by two of their closest friends, was so touching - not just bride and groom needed a handkerchief, also lots of their guests. After the ceremony the bridal couple rowed a boat across the teal lake and met their guests at the aperó location. At this point we would like to say THANKS again to the amazing team at Lake Cauma for their steady support and for making the outdoor ceremony and celebration happen. We've already experienced lots of events where the venue opted for plan B, even when the weather was quite ok. We know that it's a lot of effort and sometimes risky, but you make your couples really happy and that's worth the extra mile. We already mentioned the crazy weather. The days before the wedding it was really hot and for the wedding day itself 16 degrees Celsius and rain from 10am on was forecast. We were so lucky that the rain waited until 2.30pm and so the ceremony could take place outside at the lake, we could create some portraits with bride and groom, the guests could enjoy some drinks and food at the Caumasee Lounge and also group shots could be done with just a few raindrops. For dinner we all went up to Stalla on the Alp Nagens, 1.980 meters above sea level. In winter the bridal couple visits this place for fondue and apres ski - an extraordinary venue with an amazing team. The view up there must be impressive, unfortunately we could not see much at all due to heavy clouds and fog, but we will not complain about the weather as it played along much better than expected, we just know first-hand how it feels when you organize something great for your guests and the weather crosses your plans. Stalla is a really cozy restaurant and they serve extremely delicious food. Why we know that? We also had the chance to enjoy dinner and it was a burst of flavor. I hardly can believe how this team could prepare food for all wedding guests at the same time in this teeny-tiny kitchen - respect! If you should visit this place someday, please check out their kitchen and bar, it proves that good team work and being organized makes a huge difference. But I think it's enough now, there are no more words needed - please enjoy our Swiss journey from Rocksresort to Caumasee and Stalla and soak up all the emotions! Jenny and Alex, thank you so much for having us as your wedding photographers in Switzerland. We are so impressed by your kindness, calmness and hospitality. Words fail me. Wishing you all the best for your future and hopefully our paths cross someday again! We love the snowy season and when a couple decides to get married in winter and there is lots of snow it cannot get any better. 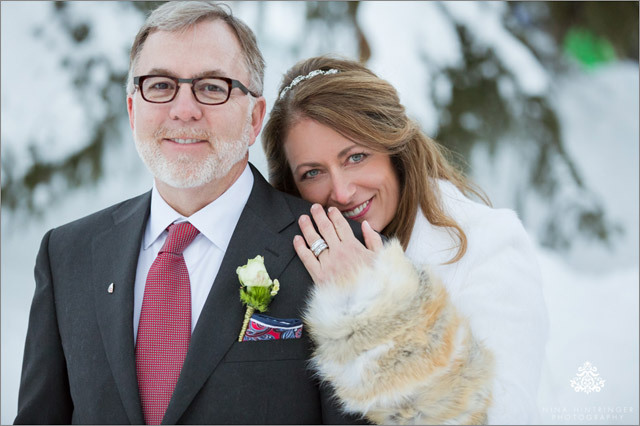 Tracey and Kelly are from the United States and as they love the snow and the mountains they chose to have a winter wonderland wedding at the Hospiz Alm in St. Christoph at the Arlberg, Tyrol. They chose the Christmas season so lots of their friends from the United States could join the celebrations combined with a winter holiday. Tracey and Kelly are totally into horses, so their wedding logo incorporated this topic as well as the winter theme. Tracey's dress was beyond gorgeous, a handwoven masterpiece - if you would like to see more wedding photos you can check out their blog post here. When we documented this wedding I was 7 month pregnant. In winter, when you have to wear a thick coat (it had -16 degrees Celsius outside), with a big belly and lots of equipment in a shoulder bag and a camera in your hands, it can be a bit challenging to move around as photographer ;) but everything turned out great. 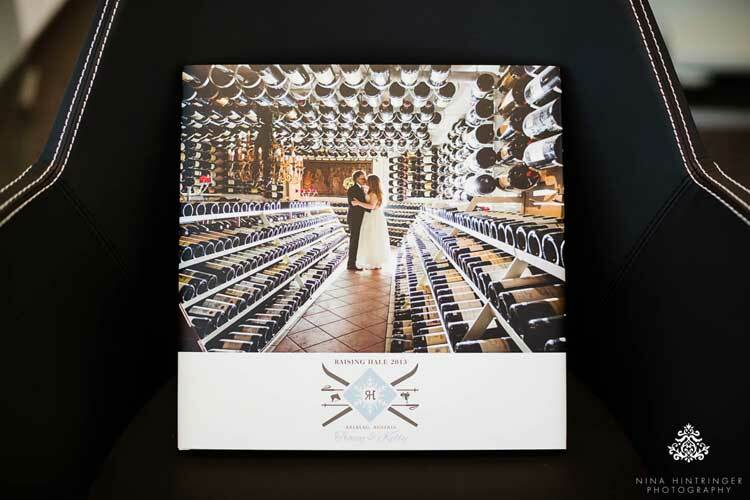 Since 2013 we meet Tracey and Kelly every year during their annually Austria visit and so we also had the chance to hand over their wedding album in person. It is always something special when you can watch the couple flipping through their family heirloom for the very first time. They start to giggle and laugh and also some tears of joy can be part of this experience. This moment is priceless! In the afternoon it is getting dark outside earlier - that means winter is coming closer. So why not sharing a wonderful winter wedding album? 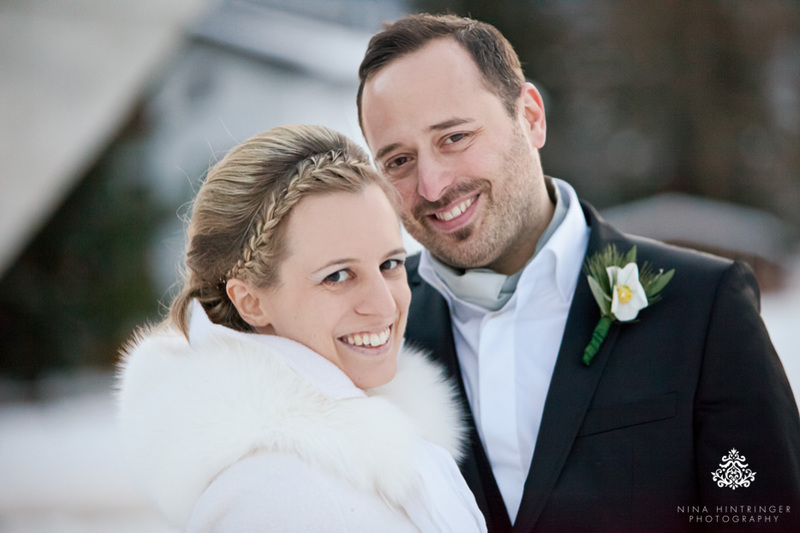 Helen and James are from the UK and got married at the Arlberg in December. They chose the skiing museum The Museum Restaurant as their wedding venue, it is really cosy and special. We have been there several times and we can totally recommend it, it is a unique place with a special entertainment factor for your guests. But it is not just great for your wedding, celebrating any other family festivities there or a Christmas party would just work as well. 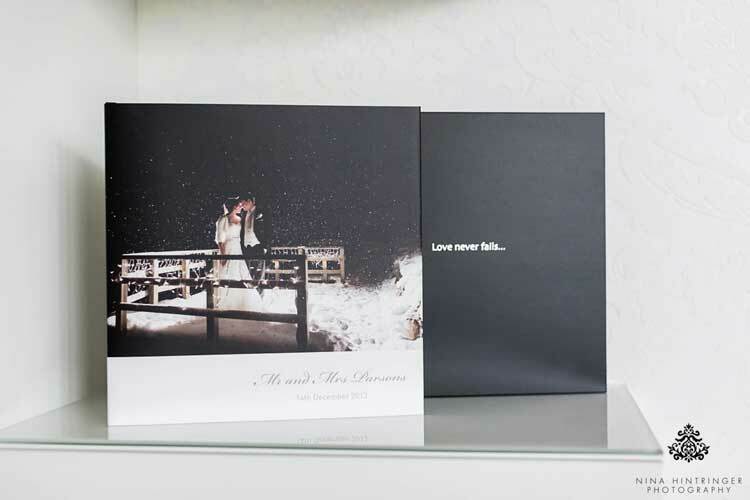 Helen and James chose a wonderful quote for the silver hot stamping of their black album slipcase, it says Love never fails.... We incorpoarted elements of their wedding stationery to personalize their wedding album even more. A matte finish of the slipcase, the book cover and the inner pages made this book just perfect. Enjoy a cup of coffee or tea while getting a glimpse of this winter wedding album. One year ago we met Tracey and Kelly from Texas for the first time in person and had a wonderful afternoon together while taking their engagement photos. Short ago it was time for their wonderful winter wedding in St. Anton and St. Christoph at the Arlberg. They chose to get married between Christmas and New Year and so lots of their families and friends from all over the United States made it happen to come to Austria for this special occasion. They combined it with a winter and skiing vacation, really perfect. The day before the wedding we had the great opportunity to meet some of their guests already in person as we had a whole shooting day to create some wonderful snowy memories for them - find some images in our previous blog post. On their wedding day we had MINUS 18 degrees celsius but Kelly and his friend Billy are really tough guys because they skied down the slopes near the wedding chapel just before the ceremony - they were not even wearing gloves, a cap or an additional jacket - OMG! Tracey had a wonderful hand made dress by Francesca Miranda, Columbia - South America, really stunning! We loved all the personal details Tracey and Kelly added to their wedding, for example their extraordinary place cards. They are having horses at home and they have similar name plates - such a great idea to bring some Texan flair to this Austrian winter wedding. Can you imagine carrying all this stuff by plane and train from Texas to Austria? Respect! Tracey and Kelly are members of the Bruderschaft St. Christoph and decided to celebrate the wedding in their nice and cosy chapel. Afterwards they had a Glühwein-reception at the Arlberg Hospiz Hotel and then they had dinner and partied all night long at the Arlberg Hospiz Alm. 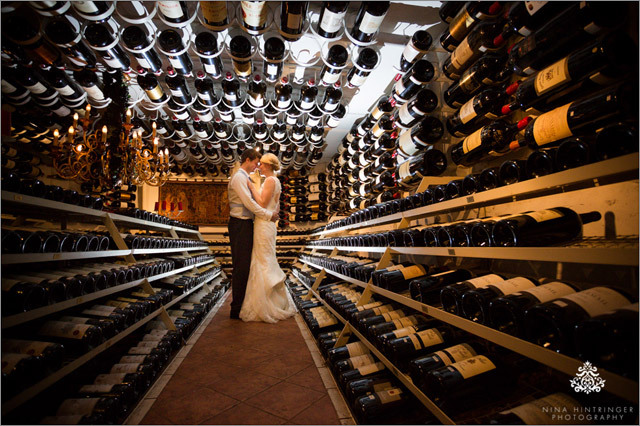 Of course they also visited the impressive wine cellar with their guests and enjoyed one of the really, really big wine bottles. We had such a wonderful time with Helen and James as well as their families in St. Anton at the Arlberg this December. They are both from the UK but decided to have a gorgeous winter wedding at this special place in Tyrol, Austria where they first met a few years ago - what a great idea! They welcomed us so warmly, it was such a pleasure being part of their event. Helen was wearing stunning red Christian Louboutin shoes and she had a wonderful Pronovias wedding dress. As bridal vehicle they had a sleigh with horses and they both were really brave as it was quite cold this weekend. As we arrived at their venue - the Museum Restaurant - after a touching ceremony it started to snow and it was pretty windy. So we decided to start with their bridal portraits inside to warm up a bit and then we went outside to create some beautiful portraits in the winter landscape. Thanks guys for doing such a great job and for being so brave in the cold. 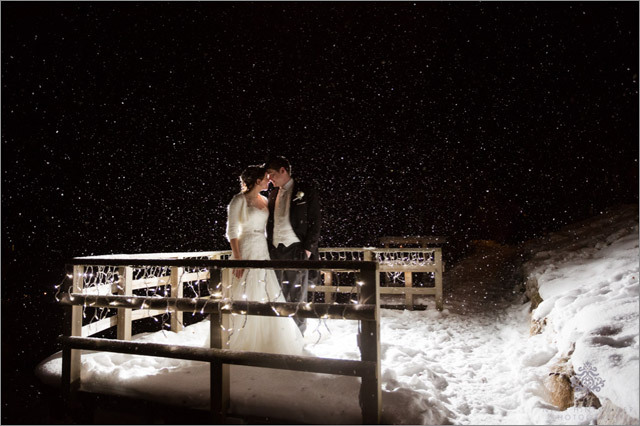 At the end of the day we created a few outdoor images and just as we had set up the shots it started snowing really heavily - just perfect to give those images a touch of winter wonderland. What a perfect closing of this wedding day! 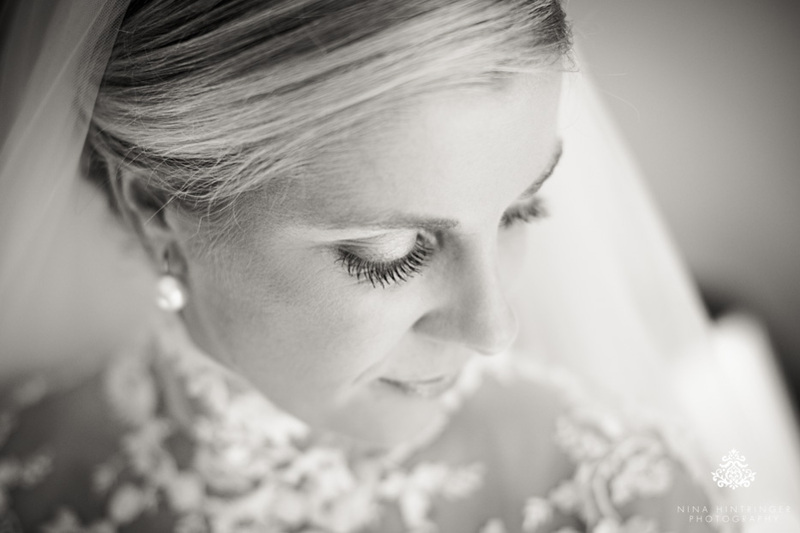 We love emotions and this beautiful wedding was full of it! 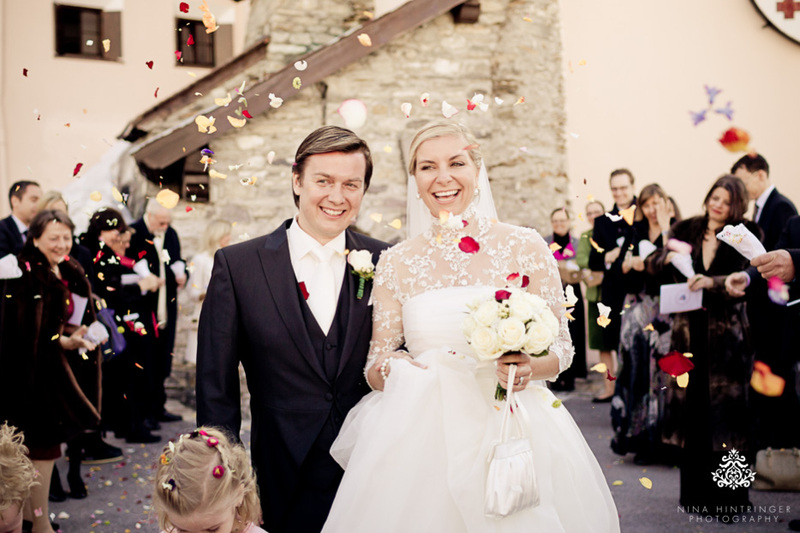 Sarah and Matthew are such a lovely couple, they have their roots in New Zealand as well as in England and they both met the first time in St. Anton in Tyrol while they were on holidays. As they spend a lot of time in Tyrol enjoying the nature and the montains it was quite obvious that they decided to celebrate their love in this area as well. So great that most of their families and friends from all over the world could manage to come to Tyrol, Austria and share this great event with them. They decided to have a beautiful outdoor wedding in the garden of Gasthof Post***** in Lech but unfortunately the weather did not play along, it started raining cats and dogs so we had to activate plan B and the ceremony took place inside. But the ceremony was touching and emotional and it was so great to see that the weather could not affect the atmosphere in any kind! They celebrated their love and that´s the most important thing on a wedding day. Sarah and Matthew are amazing party people as well, you cannot imagine how they and their families and friends rocked the dance floor at the Arlberg Hospiz Alm in St. Christoph that night. And at the end of this great day we had to do a view shots with the couple in the amazing wine cellar at the Hospiz Alm - what a stunning location. And you should not miss their beautiful wedding stationery - they had a stag and butterfly theme - one of the bridesmaids is graphic desinger in New Zealand and created these amazing pieces of art for the whole event - I am absolutely in love with it! Already a few month ago Tracey contacted me, she searched the web because of their upcoming wedding in St. Anton am Arlberg. Tracey and Kelly are from Austin, Texas and Kelly spent his youth skiing in St. Anton so it holds a very special place in his heart. So they decided to celebrate their live together in St. Anton - what a fantastic idea. This winter they spent their christmas holidays in Tyrol so they could also coordinate some wedding related things in advance. During their stay in Austria we had the pleasure to meet them in person and to take their engagement photos. We had such a great day together, they are a lovely couple and the winter landscape was amazing! At home in Texas Tracey and Kelly have horses so they had the great idea to do a sleigh ride to have the horses as their props - we loved it! And a cup of Glühwein is a must-have when you are staying in St. Anton, we enjoyed some at the cozy Restaurant Ferwall.